Hong Kongers certainly like a bargain, and what better place to bag one than the city's outlet stores? Factory outlets offer discounts of anything from 20% to 80% on end of line clothing and lines from the previous season. Here are Hong Kong's best factory outlet stores, from the shiny malls that have sprung up across the city to the ramshackle warehouses over in Sham Shui Po. The mall claims discounts of between 30% and 70% on items. You’ll actually get something around 30% off, but that's still a pretty hefty cut considering some of the premium names available. There is a food court inside, including McDonald's, and mediocre but kid-friendly restaurants like Spaghetti House. As is traditional with outlet stores, this mall of eighty shops is inconveniently parked outside of the city center in Tung Chung on Lantau Island. Luckily it's only about 30mins on the metro from Central. Horizon Plaza is an unimpressive bunker building stranded on an island off Aberdeen. Inside? Treasure. Yes, there are dozens of cut price furniture shops, but unless you've got an especially generous baggage allowance they probably won't interest you. 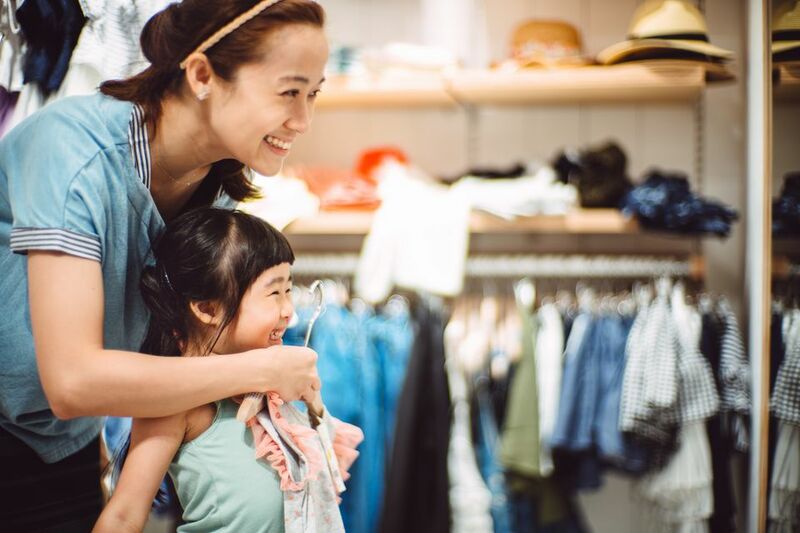 Instead, scramble past the piles of bamboo chairs and oak tables to find some of the biggest fashion outlets in Hong Kong. There is a mix of branded shops like Ralph Lauren, Armani and GOD as well as mixed retailers and department stores like Lane Crawford. Most of the racks will be stuffed with gear from previous seasons at anywhere from 30%-80% discount. Nearby, on Marina Square, you can also find the Prada Outlet store. There are independent outlet stores scattered all over Hong Kong. The most famous are the run down warehouses and creaking emporiums found around the streets of Sham Shui Po, particularly the part of Cheung Sha Wan Road between Wong Chuk and Yen Chow Streets. All of the shops here sell clothes, though most of them are aimed at women. There's little in the way of US or European brands here. Instead, you'll find local, Chinese and regional clothing – some western styled, some Asian – ranging from bags stuffed with T-Shirts to fancy ball gowns. Prices are incredibly low. The outlets are primarily set up to sell to trade, but most will also sell to individuals (those that don't will tell you when you enter). It's worth mentioning that these are private retailers, and given Hong Kong's half baked consumer right laws returning anything later on can be difficult. Most shops can be found on Cheung Sha Wan Road from the junction with Yen Chow street. Walk down to Li Chi Kok Road to find Hong Kong’s haberdashery scene, where you can get an affordable suit cut your size. One of the smaller outlet malls but handily located in the center of town on Canton Road, China Hong Kong City has around fifty outlet stores offering discounts of 30% and more. Most stores are solidly mid-range, although you'll find the odd DKNY shop joining Kappa, Espirit, and Levi. It's attached to Harbour City, one of Hong Kong's biggest malls. This outlet mall is surprisingly plugged in, with access to the China Ferry Terminal with its links to mainland China and Macao. Just walk from Kwun Tong MTR to find Hong Kong’s best footwear bargains. The factory outlets in an alleyway between the Camel Paint buildings, but don’t be fooled by the location. You’ll find several major footwear brands selling at deep discount, including Nike, Adidas, and New Balance, with last year’s kicks going for up to 70% off. As Kwun Tong caters mainly to locals, you’ll find less people speaking English as a matter of course. Save the location on Google Maps so you can navigate your way there without referring to the local signs.